Highly rated attorneys ready to assist your legal needs. Our firm handles a wide array of complex legal issues. Contact our legal team today for your consultation. Throughout this site you will find personal information about Brooks, Bradley & Doyle, and about the exemplary attorneys who make it the exceptional law firm that it is. 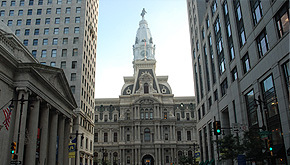 Please contact the Philadelphia, Pennsylvania litigation attorneys of Brooks, Bradley & Doyle today, at (610) 565-4800, or use the contact form provided on this site to schedule your free consultation with an experienced and trusted Philadelphia civil litigation lawyer. How Do I Find The Right Attorney For My Case? The law offices of Brooks, Bradley & Doyle is dedicated to providing effective representation.